What it doesn't mean: This product was produced by Ryan Seacrest. What it does mean: The lowercase 'e' is a symbol called the “estimated sign.” Found on products produced in the EU, it ensures that the amount of product in the packaging is correct. “8 fl oz' is guaranteed to be eight fluid ounces, and the packaging prevents any altering of the amount of the contents without opening or destroying it. Basically it says you're getting what you paid for—volume-wise. What it doesn't mean: Lids off to 30 million sold, and counting! What it does mean: The “period-after-opening symbol' tells you how long your product is good for after opening. If the open jar has a 12M on it, know that it will expire 12 months after breaking the seal, popping the lid, etc. What it doesn't mean: Only happy bunnies were killed in the making of this product. What it does mean: No bunnies—not even the little jerks that bite—were killed in the making of the product. The internationally recognized “Leaping Bunny' symbol is the highest guarantee that no animals were harmed—in all stages of development and production, and it goes for all parties involved, including labs and suppliers. The Coalition for Consumer Information on Cosmetics (CCIC) audits companies wishing to use the symbol on their packaging to be sure that they adhere to the symbol's strict cruelty-free standards. What it doesn't mean: Great with graham crackers! What it does mean: The “flammable' symbol means that under no circumstances should you introduce the product to flames or high heat. So while Virginia Slims look wicked elegant with your new half-inch acrylics, wait 'til after you've painted them the glossiest, most chemical-laden Sox shade of red to light up. What it doesn't mean: Read a book, it's not all about looks. What it does mean: The “Refer to Insert' symbol means that the label on the actual container doesn't include all the info on the product, so the manufacturer has included a handy leaflet for reference. 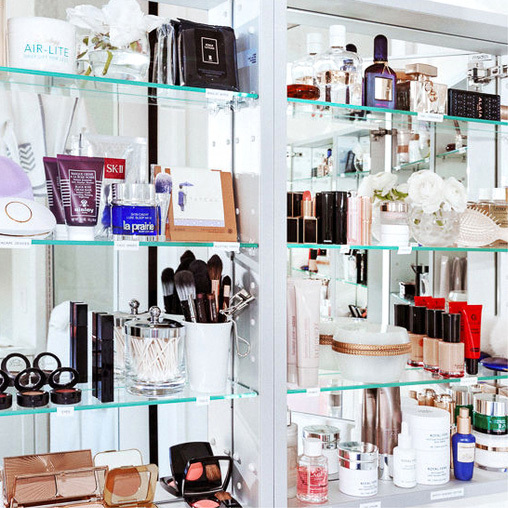 Which you'll keep just beside the product on your vanity forever and always. What it does mean: This is the internationally recognized symbol for recycling, and indicates that the packaging is recyclable. If a percentage is present, it means that the manufacturer used that amount of post-consumer waste in making the packaging. What it doesn't mean: This product endorses 'Swirl' as the very best fro-yo flavor. What it does mean: Companies pay to use the “Green Dot' symbol on their packaging. The license fee goes toward the cost of recovering and recycling various materials, like those drop-off bins outside of grocery stores and elementary schools. The symbol alerts you that the brand from which you're buying supports those efforts—through that fee. It's cyclical, if you think about it. Like recycling! What it doesn't mean: Made with love by adorable supervillains. What it does mean: The “Certified Vegan' symbol means that not only was the product not tested on animals, but it also contains no animal products. What it doesn't mean: Not safe for, like, anything. What it does mean: The “NSF' symbol means that the product is made with at least 70 percent organic ingredients. What it doesn't mean: This brand is made by Whole Foods, and Whole Foods says it's cool to use. What it does mean: Not happy with the confusing standards of other “natural' labeling symbols, at some point Whole Foods decided to take matters into their own hands. If a product boasts the “Premium Body Care' symbol, it contains no parabens, sodium lauryl sulfates, and over 400 other ingredients Whole Foods has deemed not up to par. More here. What it doesn't mean: Letters can have hats, too. What it does mean: These are resin identification codes, and appear on plastic packaging. They help determine which polymer was used in the plastic, and thus allow recyclers to sort properly. Because everybody knows that low-density polyethylene and polyethylene terephthalate do not mix. 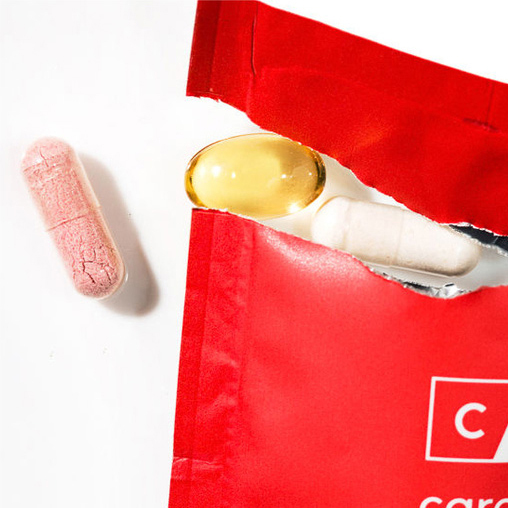 What it doesn't mean: This product is automatically better than everything else in your medicine cabinet. What it does mean: The EU's Cosmebio symbol signifies that the product contains at least 95 percent natural ingredients and does not contain synthetic coloring, fragrances, preservatives, or petrochemical products, or genetically modified ingredients.